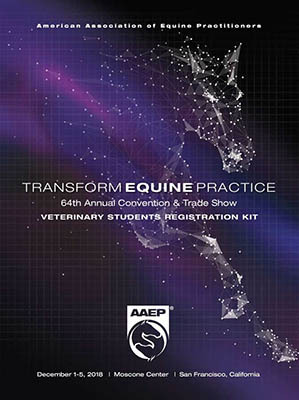 Before transitioning from veterinary school to veterinary practice, absorb the wisdom of successful AAEP members by participating in the convention's robust slate of student offerings. Whether or not this will be your first convention, you’ll find many opportunities for professional growth by acquiring knowledge and skills in core areas and establishing meaningful connections with fellow students and potential employers. 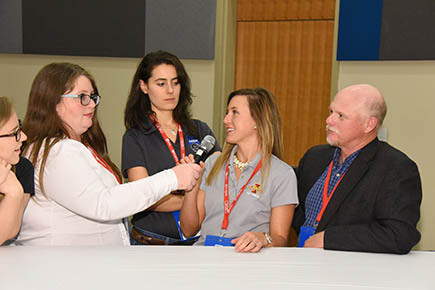 The registration fee for current National AAEP Student Members is $50 when registering by Oct. 31; the rate increases to $80 after this date, and includes all sessions at the Annual Convention plus the Trade Show and non-ticketed events. The Extended Student Program on December 1 requires an additional registration fee. Click on the image to the right to browse this year's registration kit. Sponsored by Boehringer Ingelheim, the market leader in equine health. *This program is now full and a wait list is available for interested attendees. Optimize ultrasound settings for different exams and fine-tune your probe handling techniques for clinical use. Train in the areas of distal limb, abdominal and thoracic, and reproductive ultrasonography, as well as ultrasound-guided needle aspiration/injection. Master the basics of hoof care when rotating in small groups through five stations: (1) Basic hoof trimming, (2) shoe application/removal, (3) foal/juvenile hoof care, (4) wooden shoe application, and (5) distal limb casting. Utilize several common reproductive techniques and gain exposure to current diagnostic procedures used when performing a basic breeding soundness exam of the mare. Evaluate a case, develop a plan and repair the wound. A variety of low-fidelity suture models will be used. In addition to the interactive labs, enjoy lunch with your fellow students and learn about key equine law principles for new graduates from the featured speaker. Watch as the three finalists in the poster competition present their cases of interest. These posters and additional submissions will be printed and displayed as educational resources within the student area on Sunday and in the trade show through Tuesday. Acquire tips and strategies to maintain professional relationships with tough clients. Veterinarian-panelists will relate their personal experiences to questions submitted by student chapters to help you navigate ethically challenging situations you may encounter in practice. Unwind from the stresses of veterinary school at the Hoof Test Challenge, a lighthearted game show-style contest in which teams of students pit their knowledge of equine medicine and pop culture against each other. Captained by volunteer practitioners, teams will answer Jeopardy-style trivia questions and compete in “Minute to Win It”-style challenges. Prizes will be awarded. Sponsored by Merck Animal Health. The Science of Healthier Animals. Jump-start your career at this must-attend event! Meet with representatives from dozens of the top equine practices in North America to discuss internship and externship opportunities, work philosophies and more. 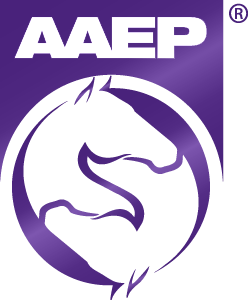 The AAEP Avenues Internship/Externship Program is an online database of reputable veterinary practices that offer equine externship and/or internship opportunities. In addition to the online database, the AAEP offers Avenues Career Night events in conjunction with select educational meetings. The purpose of these resources is to connect students and AAEP Avenues Partner Practices for potential externship and internship opportunities. Funds from the Avenues program are used for new educational and career opportunities for current veterinary students, such as travel stipends, academic scholarships and a greater array of student programming.